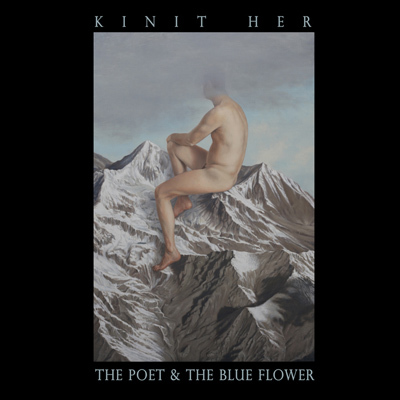 After listening to numerous albums by the great band already, listening to a new album by Kinit Her is like another determined jump into warm water. You know, in your mind, by your experience and through your imagination, how it is probably going to feel like, but when you finally pierce the waterline you find out that the feeling somehow manages to be different – Always refreshing, always changing. Nathaniel Ritter and Troy Schafer, who operate this Trojan horse that is filled with flowers and blessings, bring another wonderful composition of songs, twisting folk music with experimentalism and majesty. Singing with intensity and modesty, the archaic verses weld and bend the fractal storms of sound that orbit the voices and do wonders to the shapes of Kinit her’s musical conjurations. ‘Poet and the Blue Flower’ has both the rigid structures of songs within it and the obscure clouds of abstract music, and this combination makes this album all the more demanding and rewarding. Through the growing number of albums, Kinit her changes visions, positions and directions, but not like the wanderer who is lost in the woods, but like the adventurer who takes each step with confidence and wonder. And wonders they find, on each and every time.